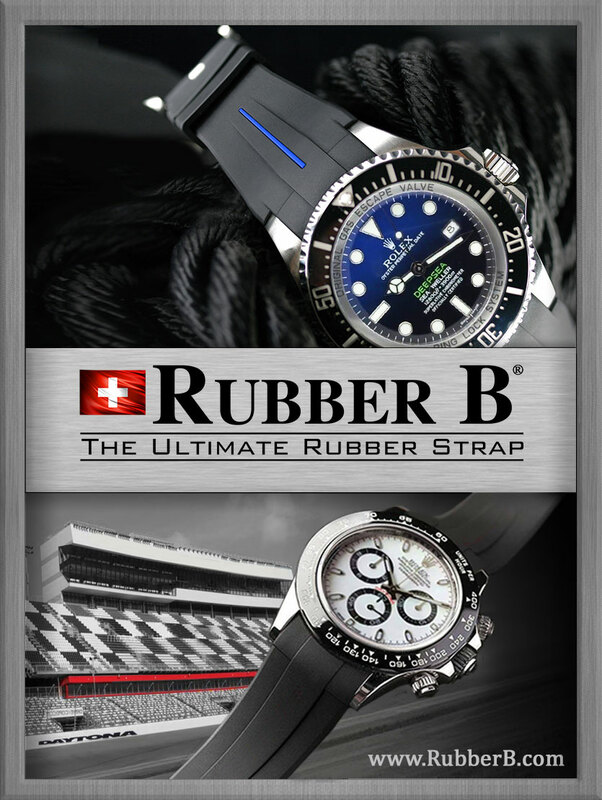 Enzo Ferrari is a racing car legend and in many ways, he created a company that is very similar to Rolex. 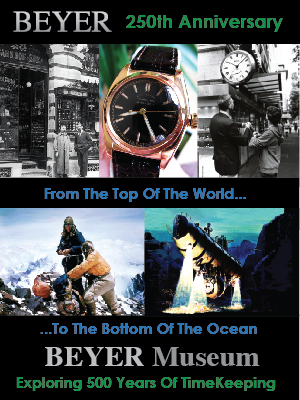 Enzo wore and depended on a Rolex to keep the time of his life for at least 4 decades of his life. 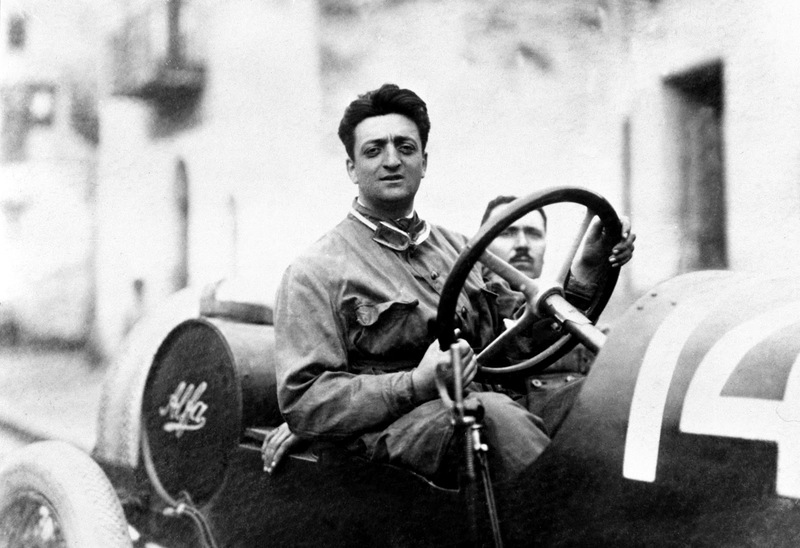 Enzo Ferrari is pictured below in 1920 racing and A.L.F.A. 40/60HP. Enzo Ferrari had a nickname of 'Il Commendatore', which means 'Commander'. This nickname came directly from the King of Italy, Vittorio Emmanuel III. 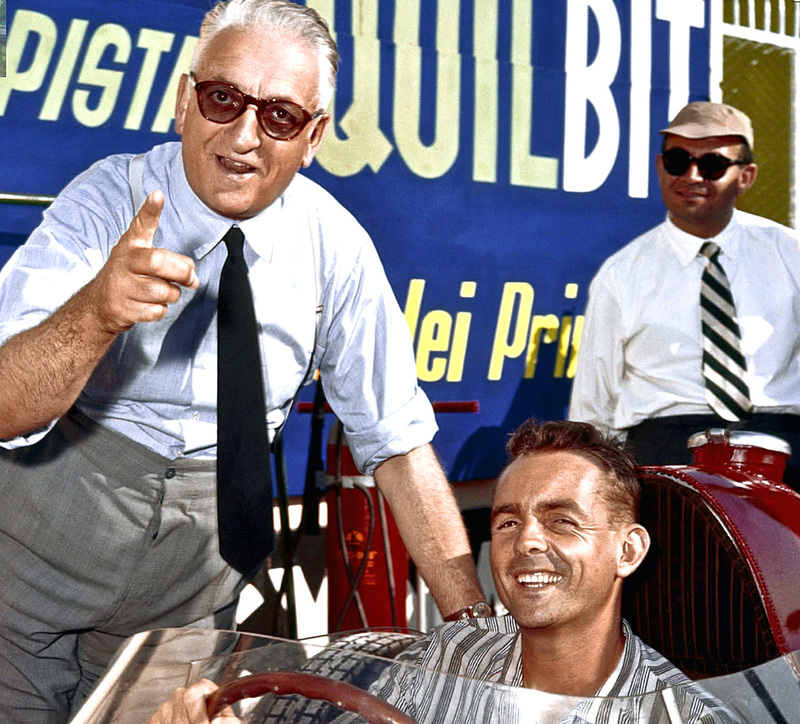 The photo below was taken of Enzo Ferrari and his top driver Alberto Ascari in Maranello, Italy as they prepare for the Indianapolis 500 car race that would soon take place in the United States. Enzo Ferrari is pictured on the far right side, sporting his trademark Rolex Chronograph Reference 3055. 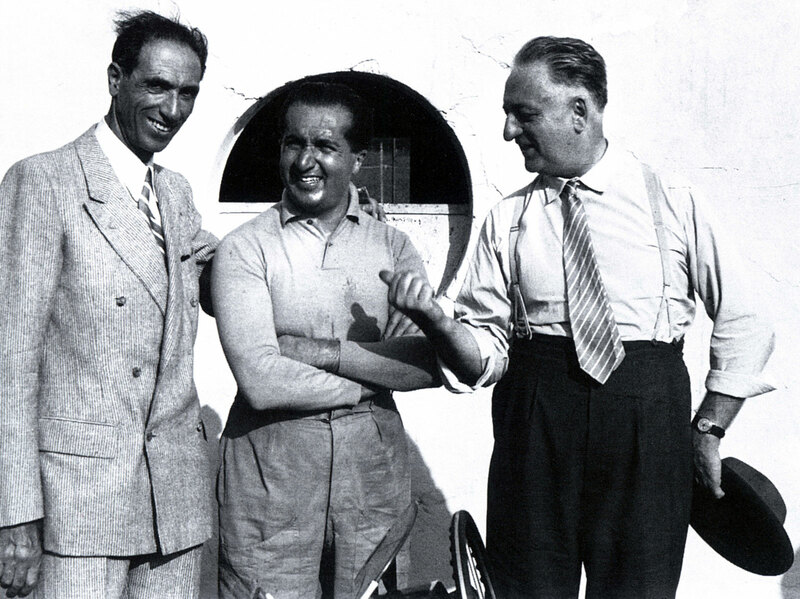 Enzo is standing next to world champion, Alberto Ascari (center) and the man on the far left is Ing Daccò (tallest). It is fascinating to take into consideration the in-depth contextual meaning behind these photos, in the sense, that when they were taken, Enzo Ferrari, with his number 1 driver, Alberto Ascari, were making Formula 1 history, and putting Ferrari on the map for the first time. 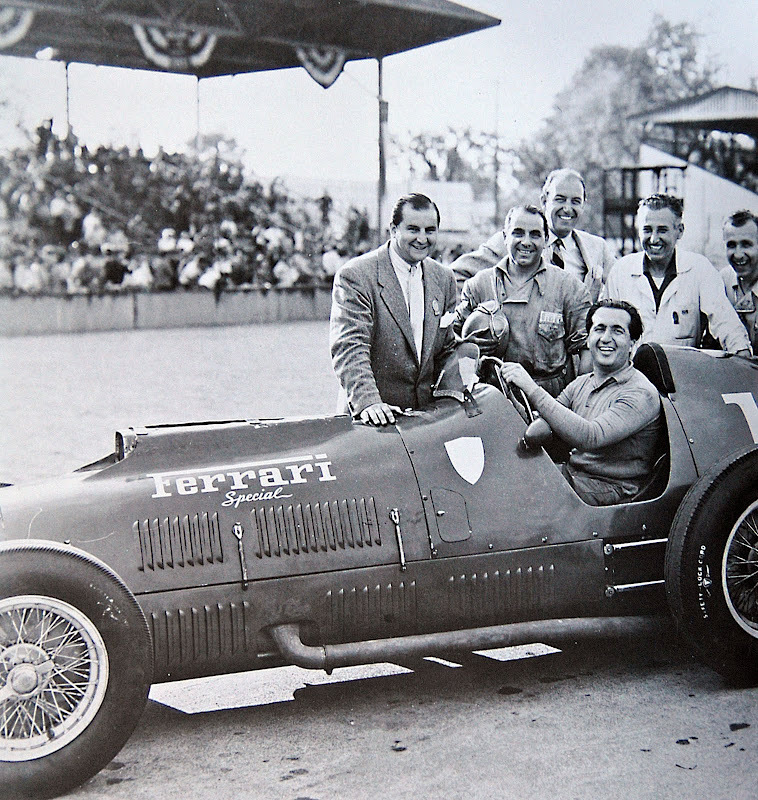 In the photo above and in the photo below, we see Alberto Ascari and the Ferrari N.A.R.T. (North American Racing Team) at the 1952 Indianapolis 500 race. The 1952 N.A.R.T. 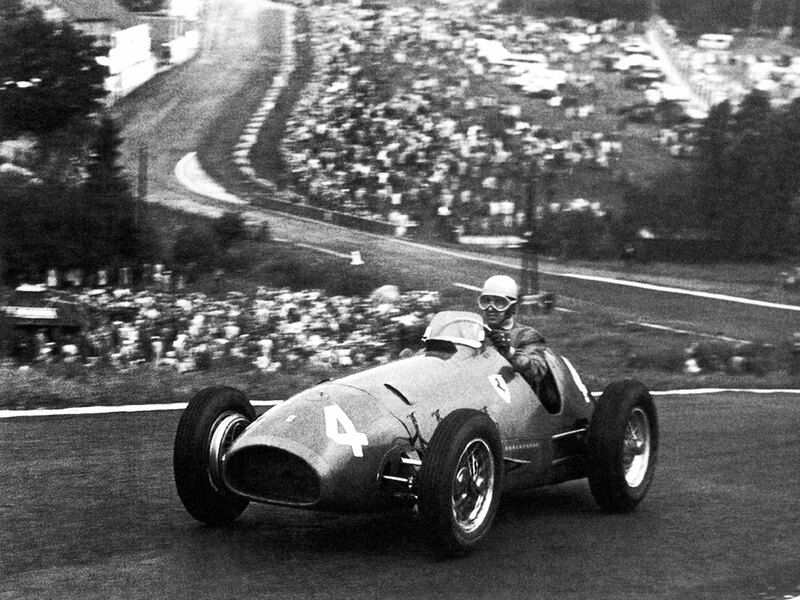 team was owned by Luigi Chinetti, who was the official distributor of Ferrari U.S.A. It is interesting to note the Ferrari badge appears in both photos, but without the prancing "Ferrari" Horse. 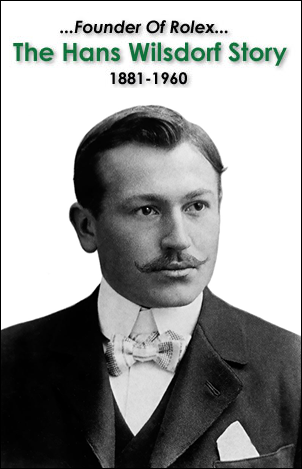 This is due to the fact Enzo Ferrari his first participation in the Indianapolis to be unofficial. 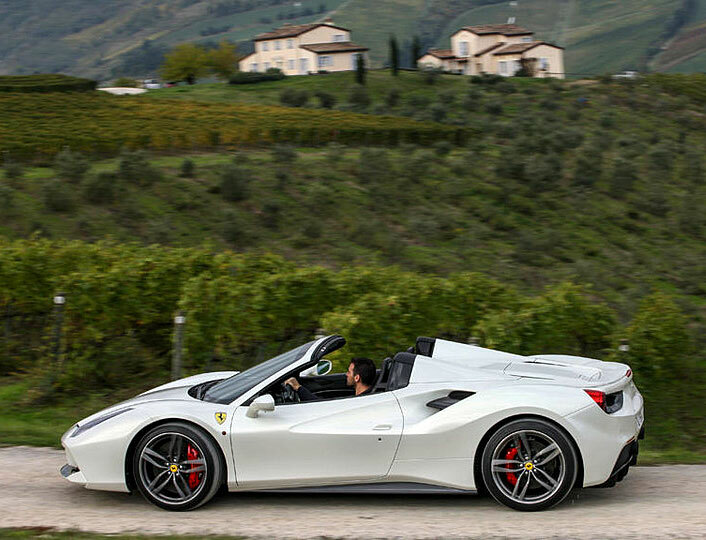 After Enzo got underway, he changed his mind and decided to add the prancing horse. 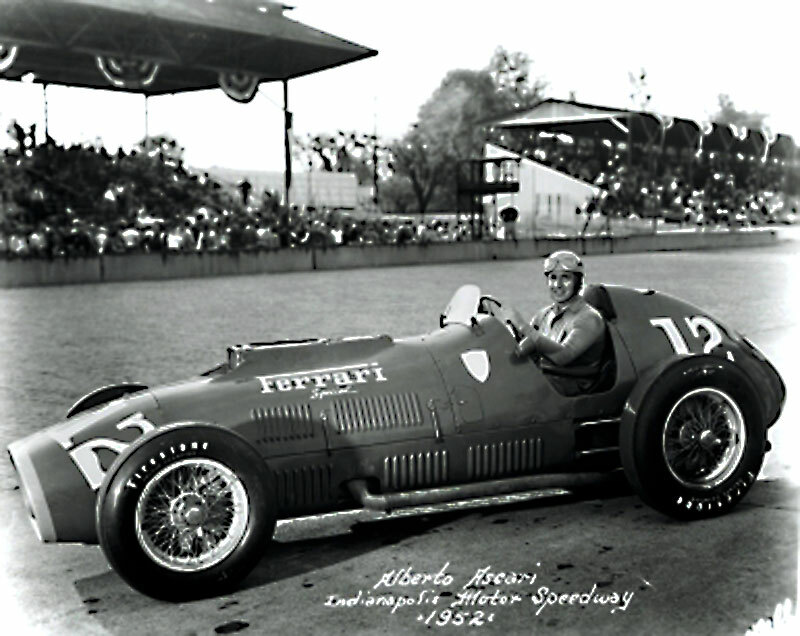 Alberto Ascari experienced mechanical challenges during the 1952 Indianapolis 500 and was not able to continue past his 13th lap. The 1952 Indianapolis 500 represented the first time Ferrari raced in the U.S.A, and even though they did not complete the race, it marked a significant milestone in Ferrari history. 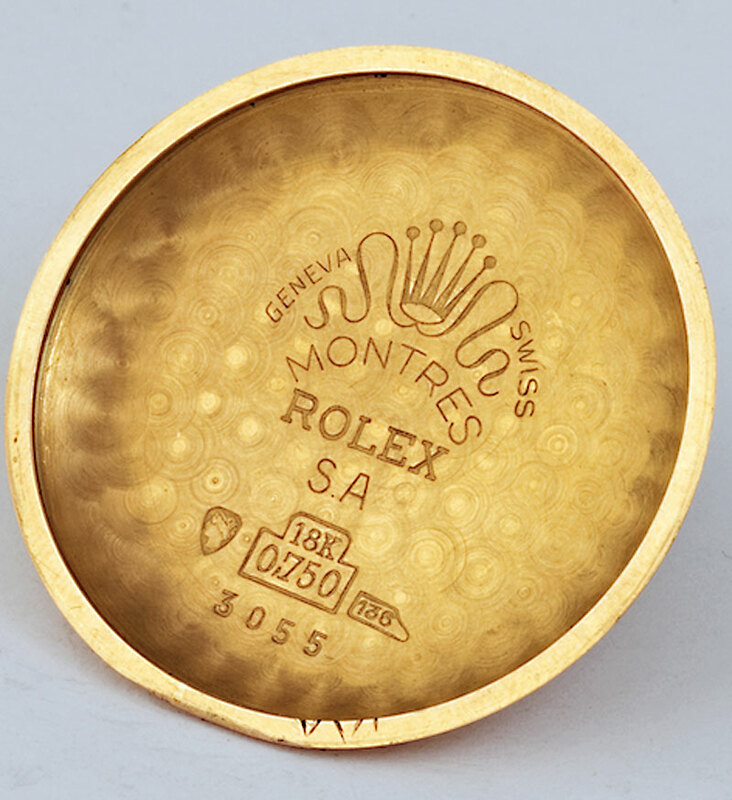 Enzo Ferrari's Rolex Chronograph (Reference 3055) was the smallest chronograph ever made, at an astounding 30mm diameter. 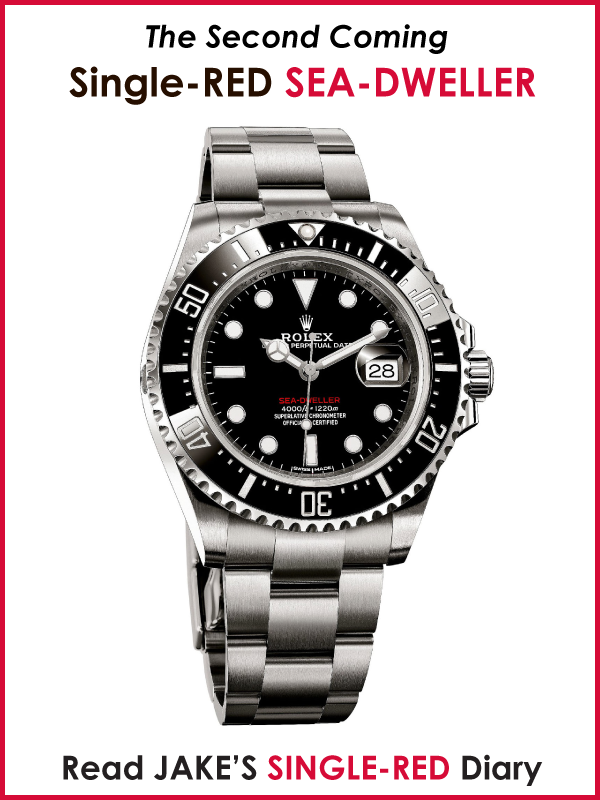 The next two photos below are the same model Rolex Chronograph Enzo Ferrari's is wearing. 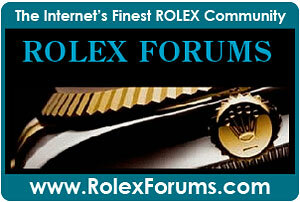 Today Enzo's son, Piero Ferrari owns his father's Rolex Chronograph, Reference 3055. 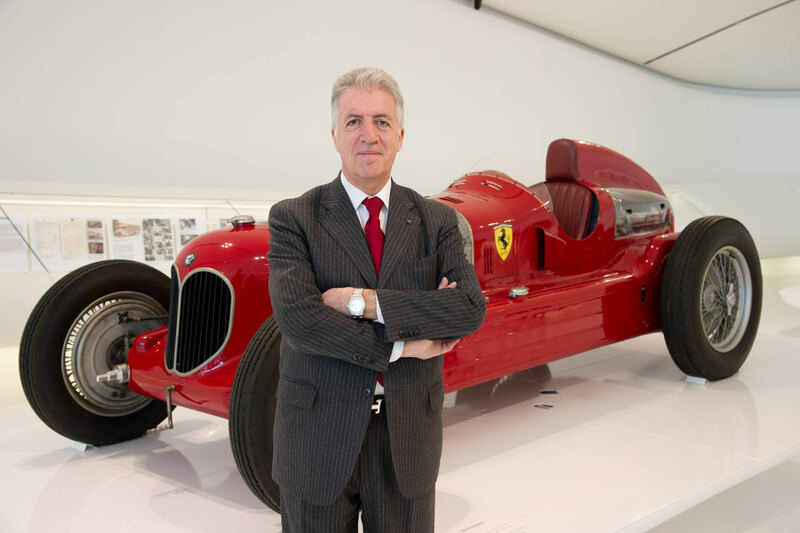 The Chairman of Ferrari wearing a Rolex is still standard today, as current Ferrari Chairman Luca Cordero di Montezemolo has worn a Rolex his whole career. I would like to thank my pal, John Goldberger for sending in these amazing photos. 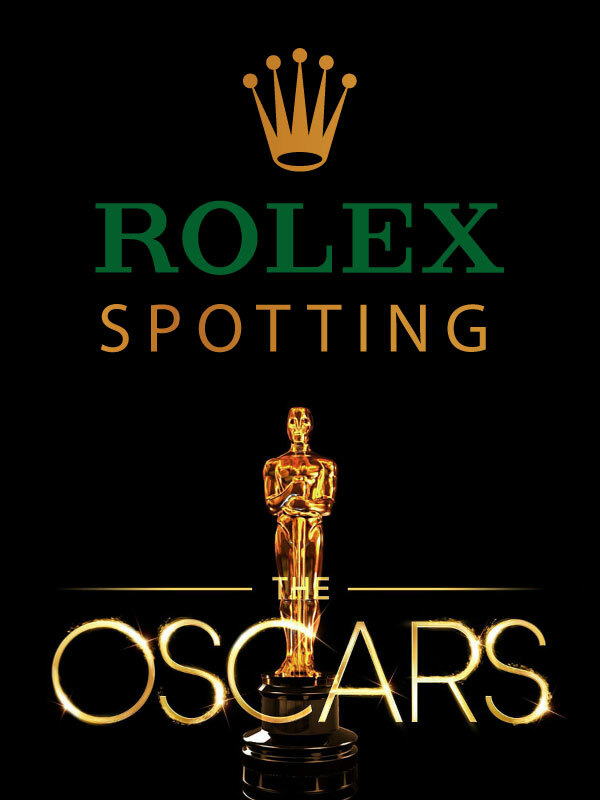 John Goldberger is the author of 100 Superlative Rolex Watches and he also publishes a Vintage Rolex Application for the iPad which showcases high-definition photos of beautiful Rolex watches. 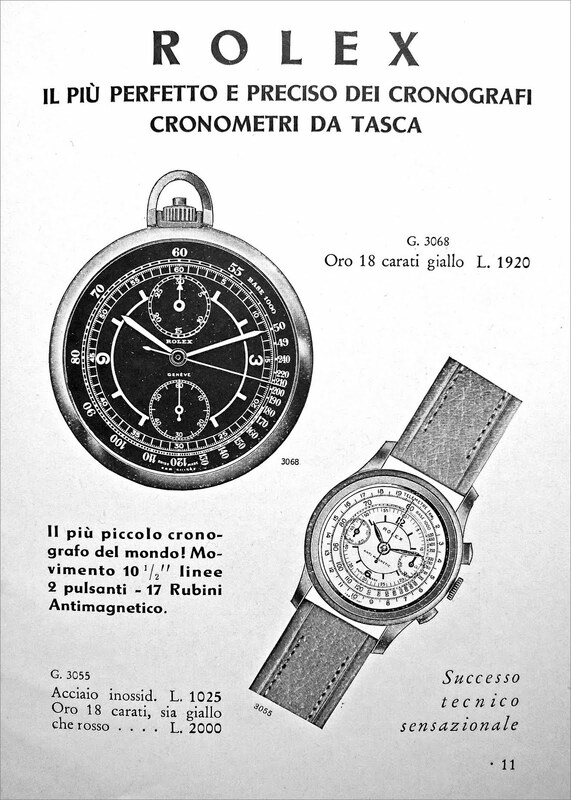 John Goldberger also sent in this vintage Rolex catalog page for the Rolex 3055 Chronograph which appeared in an Italian magazine in 1940. Pretty cool!!! 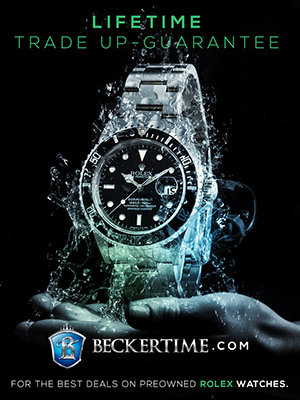 One of the interesting take-away points is that in 1940, during World War II, Rolex pocket watches were still very popular, as we see in the Rolex catalog below. 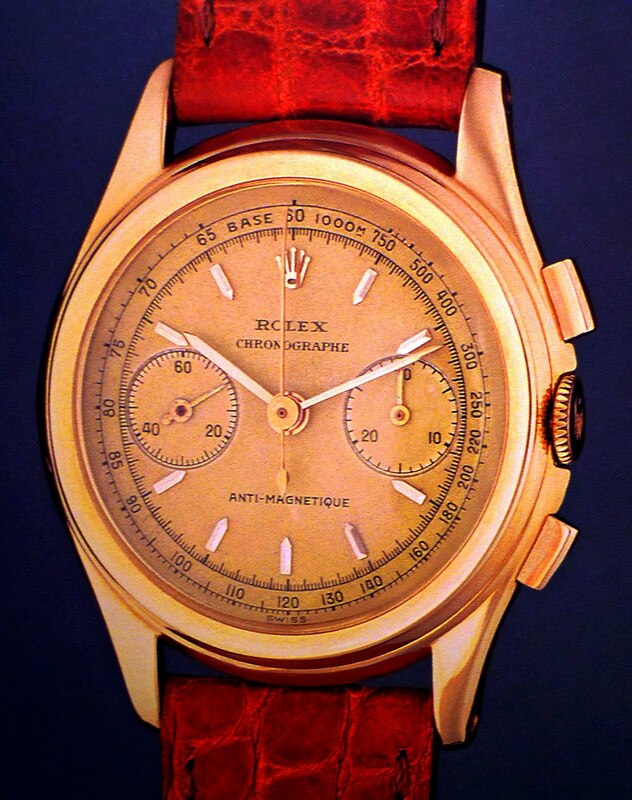 Rolex began selling the Reference 3055 Chronograph in 1940 and offered the model for sale until 1960. 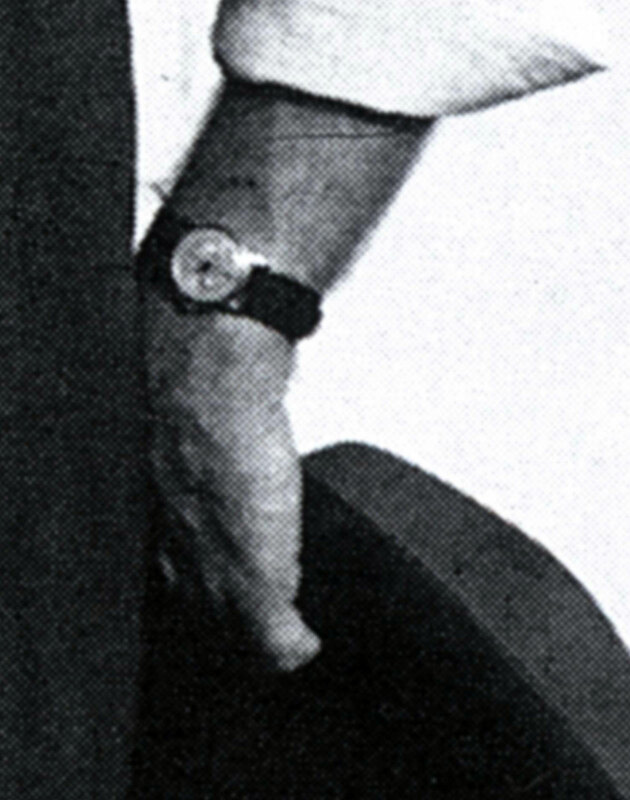 Enzo Ferrari is pictured below wearing his Rolex Chronograph Reference 3055. He is pictured with American driver, Phil Hill who is the only American born Formula One driver to ever win the World's Drivers' Championship. (Mario Andretti was born in Italy). 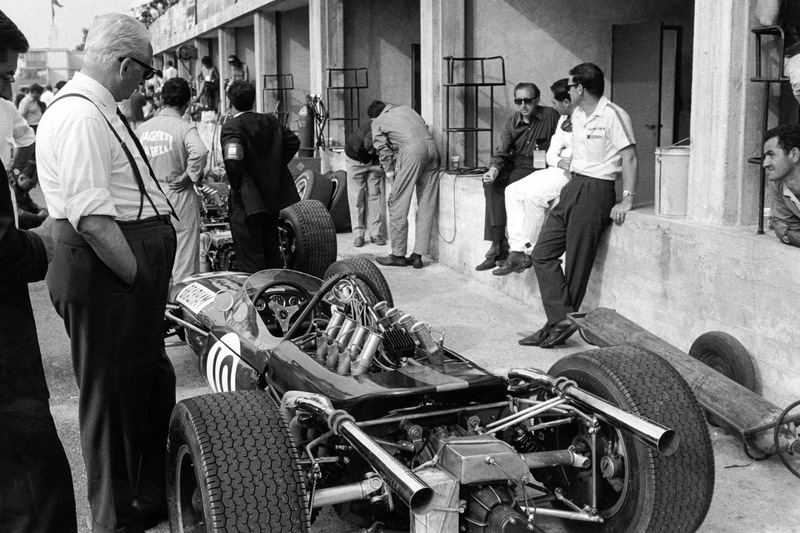 Enzo Ferrari is pictured below in 1966 at Monza. Enzo Ferrari is pictured below on the left with Ferrari Racing Legend, Niki Lauda, between him and the current Chairman of Ferrari, Luca Cordero di Montezemolo. 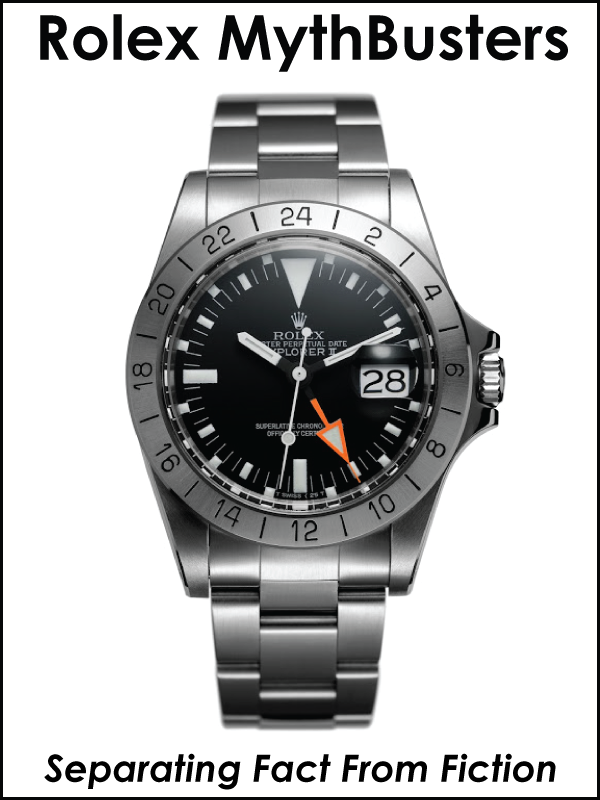 Niki Lauda is also a big Rolex fan. 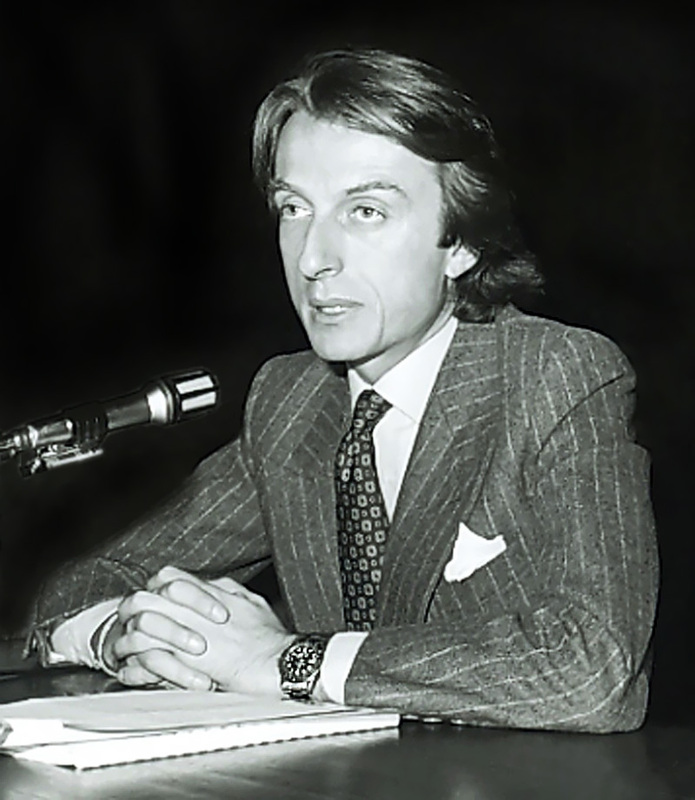 Luca Cordero di Montezemolo is pictured below in the early 1970s sporting his trademark Rolex GMT Master. 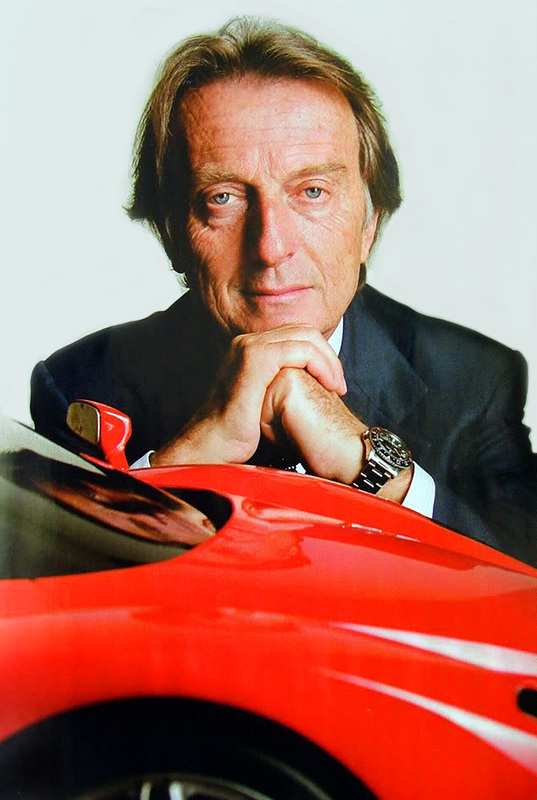 Luca Cordero di Montezemolo went on to become the Chairman of Ferrari, as well as FIAT S.p.A. 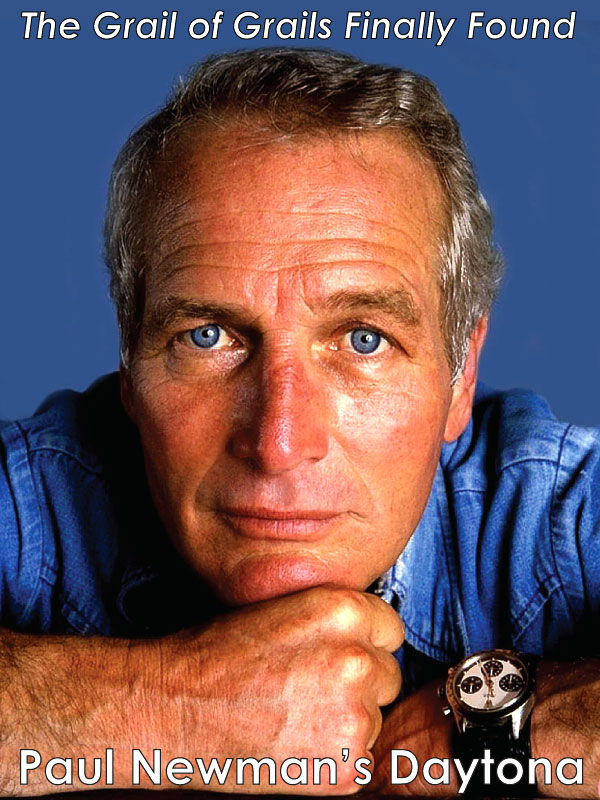 He is pictured below in a recent photo, wearing his trademark Rolex GMT Pepsi, as he poses in front of a model of a Ferrari. 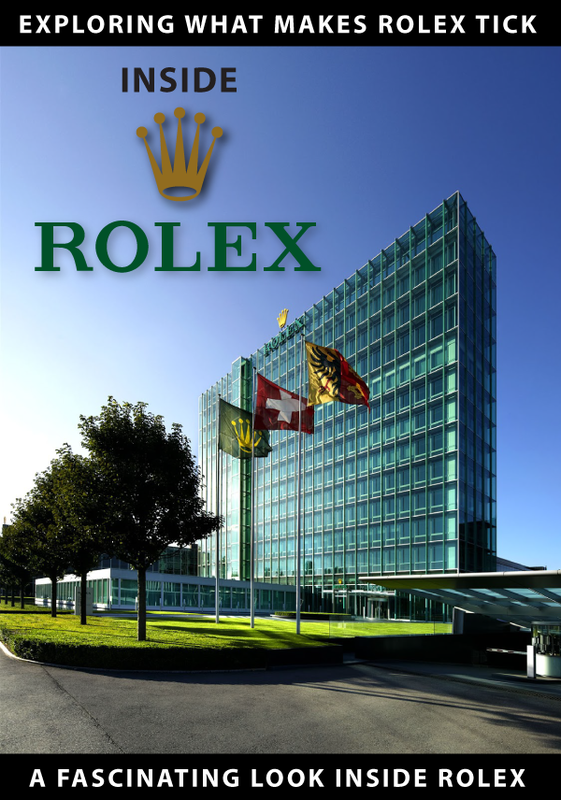 It is fascinating to note that the men who have guided Ferrari for its entire history are Rolex men!!! 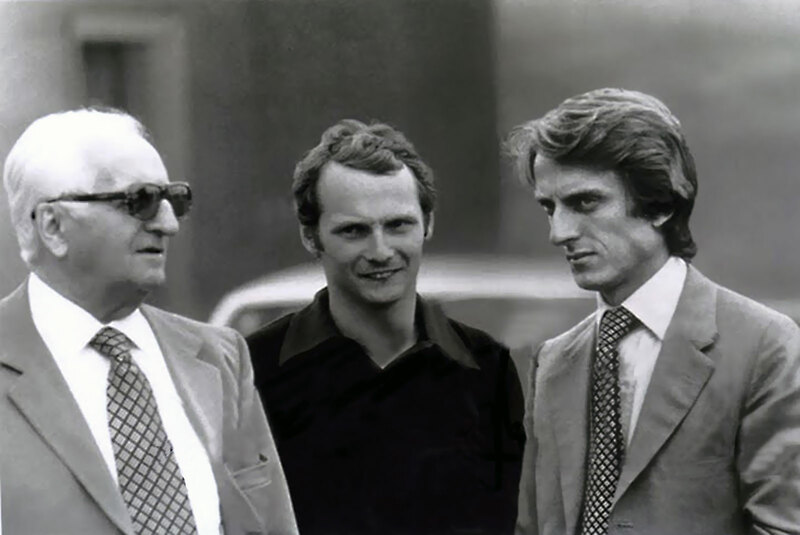 Earlier in his career, Luca Cordero di Montezemolo was the director of racing for Ferrari, and you see him in the photo (three photos up the page) with Enzo Ferrari and Niki Lauda. 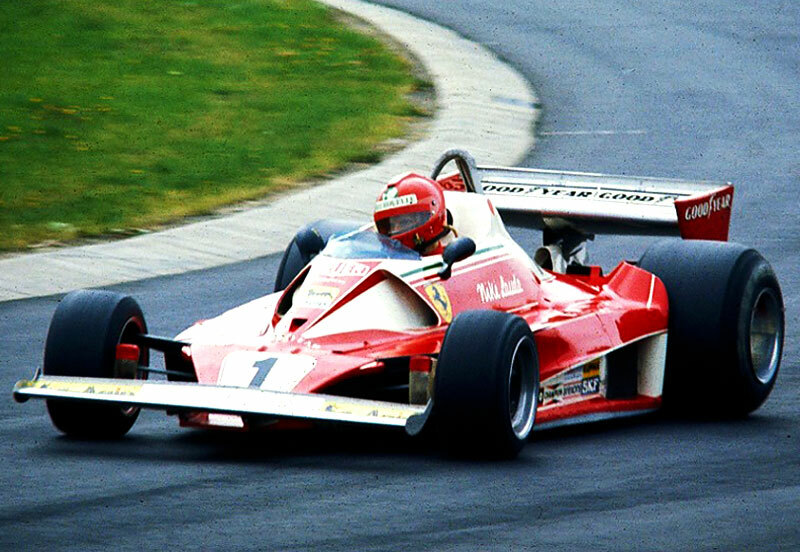 Nicki Lauda was Ferrari's lead driver, and we see him in the photo below as he practices at the Nurburgring race track during the 1976 Grand Prix. 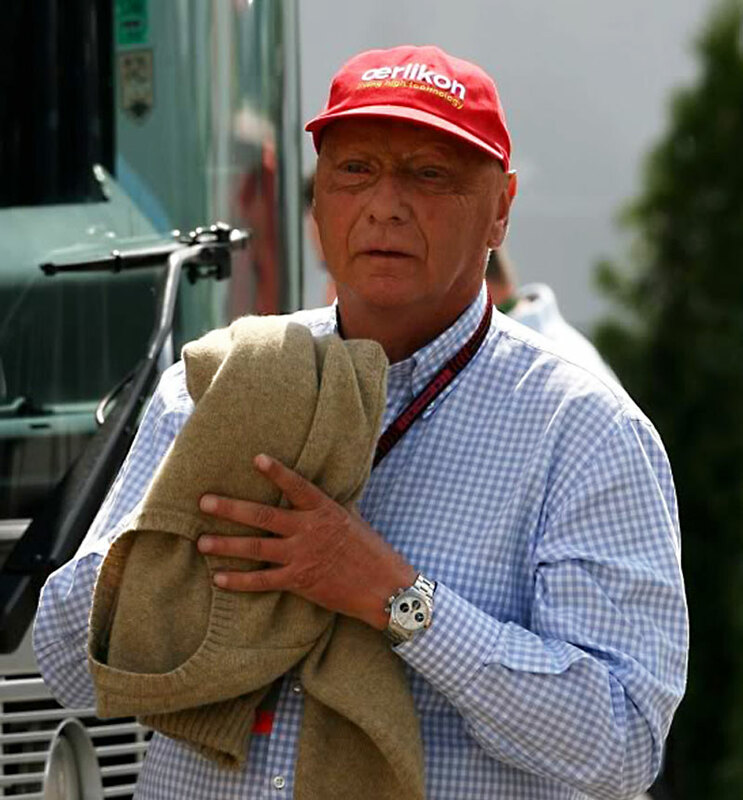 We see Niki Lauda in a more recent photo below, sporting his trademark vintage Rolex Daytona. 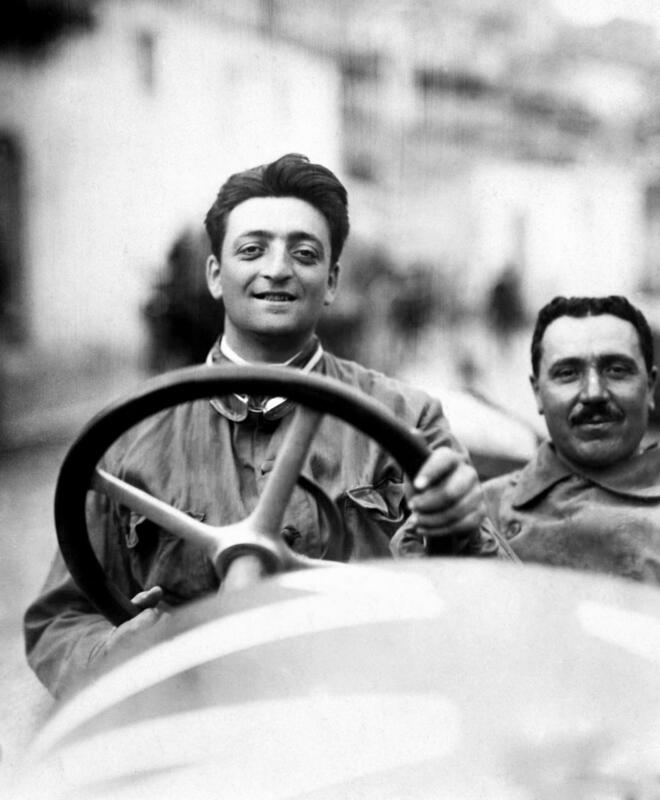 Enzo Ferrari had two sons, Dino and Piero. 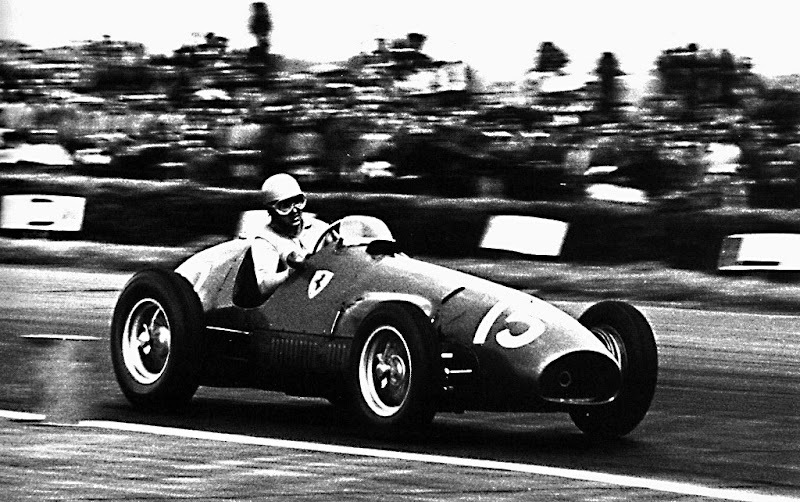 Dino passed away when he was 24 years old, and Piero who is pictured below owns 10% of Ferrari today. 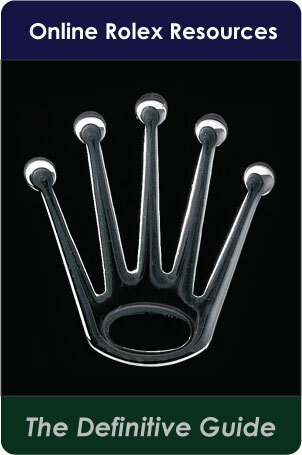 Notice Piero Ferrari is wearing a Rolex, like his father. Below is another fascinating documentary on the life and times of Enzo Ferrari. Today Ferarri continues its proud legacy of making radical looking and performing sports cars as seen below. It will be interesting to see how Ferarri responds to the upcoming all-electric Tesla Roadster which can do 0-60 in 1.9 seconds while offering a range of over 600 miles, as Ferrari recently announced they were going to be creating the ultimate Electric Supercar. 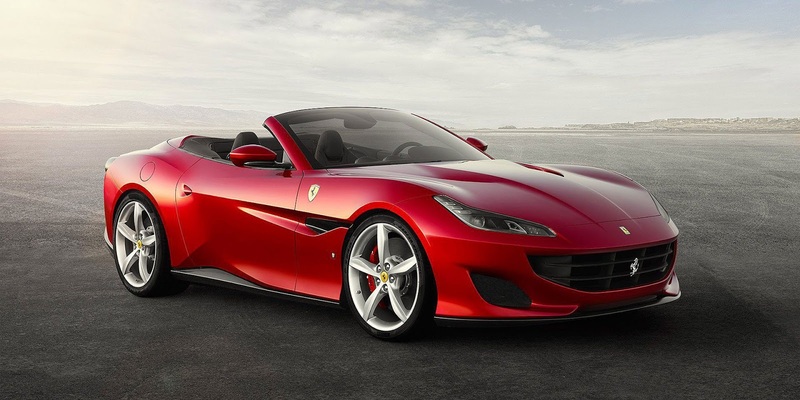 It will be weird to see a Ferrari without the throaty gargling, screaming engine of a Ferrari. 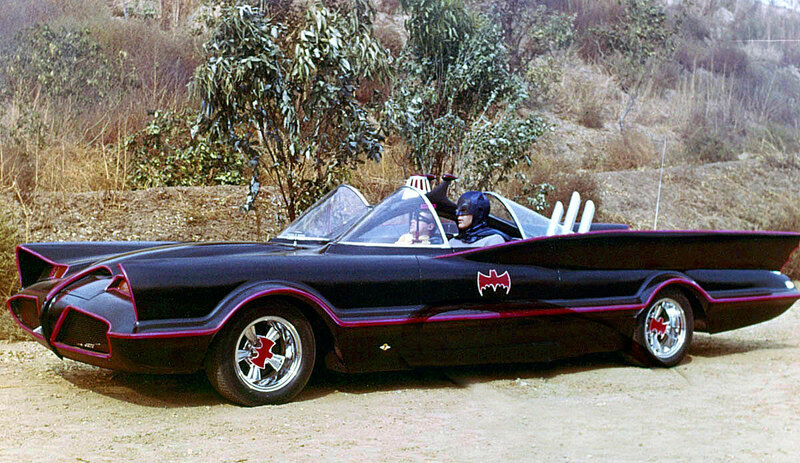 Doesn't the black with red trim La Ferrari pictured below above look like Adam West's Batmobile?